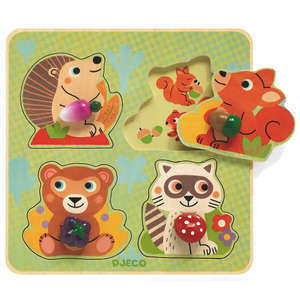 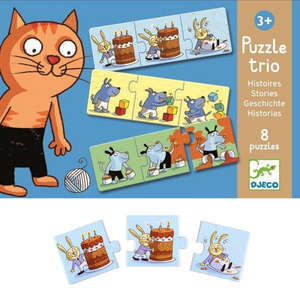 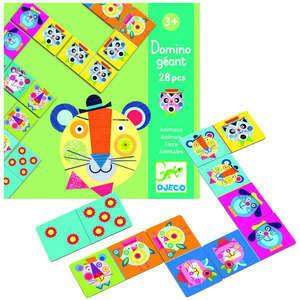 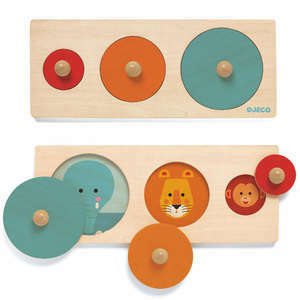 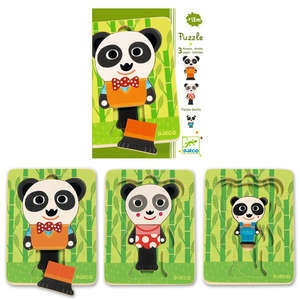 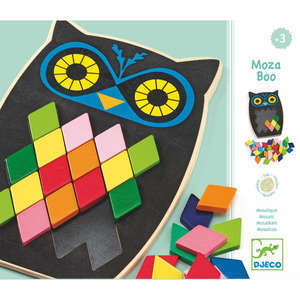 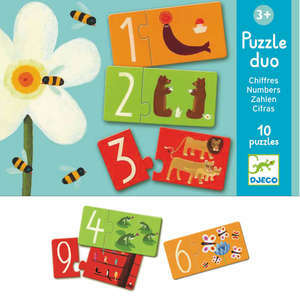 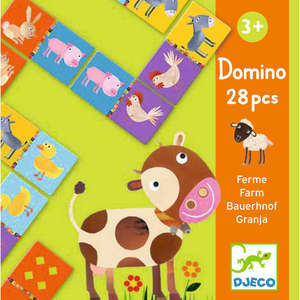 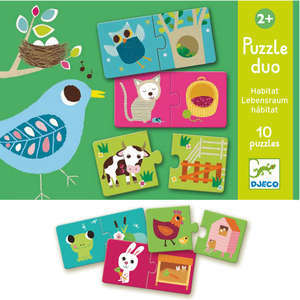 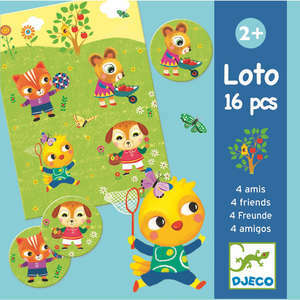 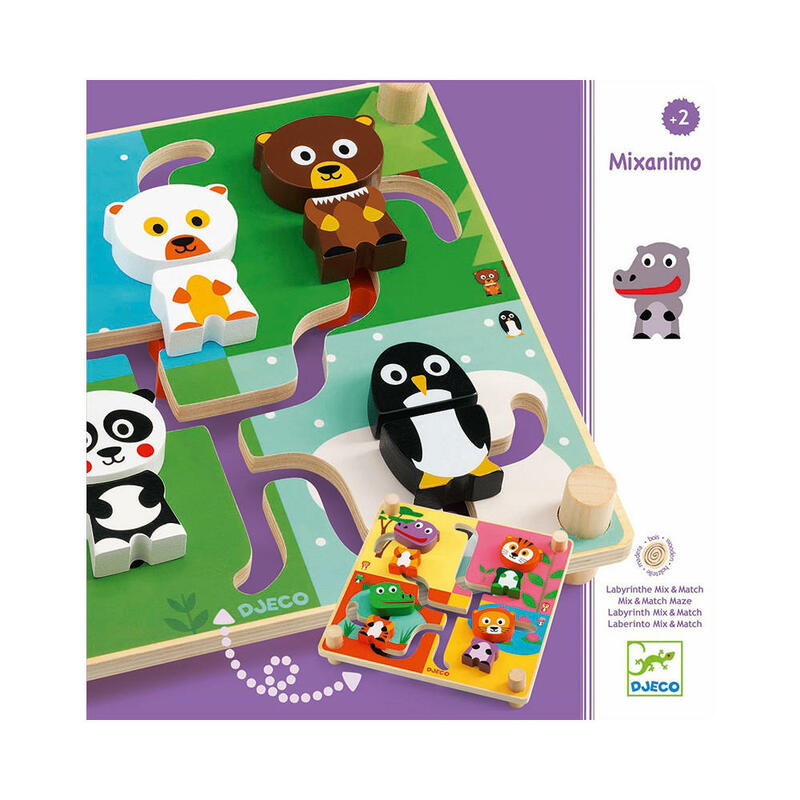 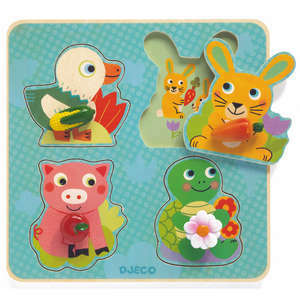 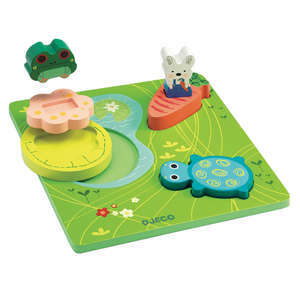 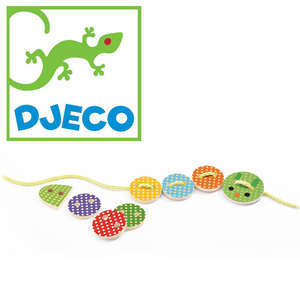 Mixanimo is a double sided wooden maze game for young children from Djeco. 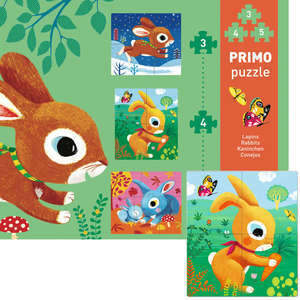 Guide the colourful animal heads and bodies around the maze until they match up. 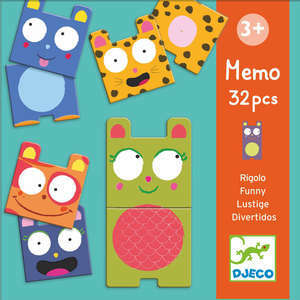 Or mix them up to make fun creatures! 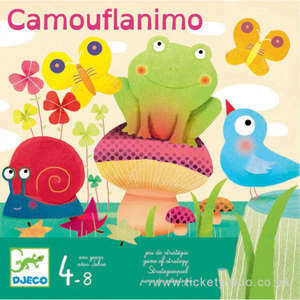 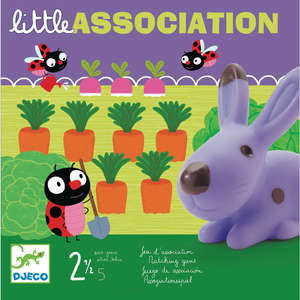 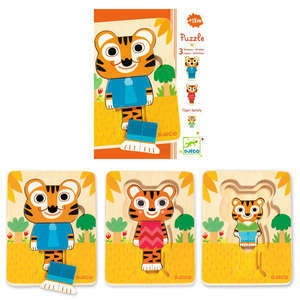 Slightly older children can also match the animals to their homes. 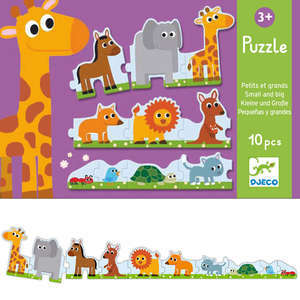 Each of the 4 areas on both sides of the board has a small picture showing the correct animal for that habitat. 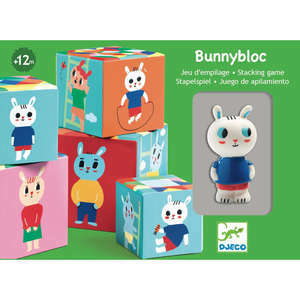 Box approx 26 x 26 x 4cm.